Nothing but problems this year. My zucchini had some kind of mildew/ rot, same with cucmber. 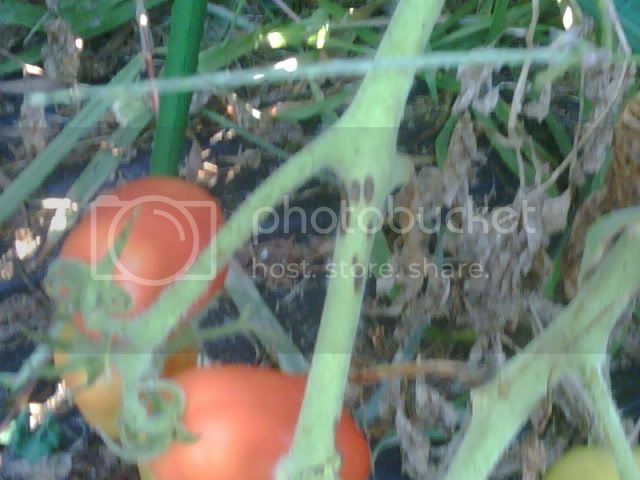 Now it looks like I have tomato blight. Not totally sure if it's early or late, or both if that's possible. I'll see if i can post a picture later. But my question is about next year. What, if anything should I do? Should I give my garden a few years rest? Is there an organic way of treating these issues for next year? UPDATE Can anyone confirm what I'm thinking? Or tell me what exactly is happening here. My cucmbers are much the same as the zucchini. Strange thing, my peppers and eggplant were better than ever this year. Last edited by Lmcirig on Thu Aug 19, 2010 12:35 pm, edited 2 times in total. This is probably the worst year ever for me. But will I stop next year. I don't think so, I couldn't do it really. But I will deal with what comes next year, it can't be as bad as this year. Can it? If it is mildew problems not much you can do to prevent them except as said to provide air circulation as much as possible. The milk idea is good too. If only I was so diligent this year I might have done better. Not real sure what it has been like by you but here it has been humid, hot and no rain. Which means not much wind and that is perfect for mildew/molds. It has really been a battle for everyone and i mean EVERYONE this year. Whatever you do don't give up. We can help you through it, even if we don't make it, we can sure give it our best. Start making a good compost pile or two, though NOT with the diseased material. You want to build up beneficial organisms in your garden -- soil and foliar. Marlingardener wrote: For next year, you might want to plant tomatoes in a different spot. If you think the mildew is attacking your cucumbers and zucchini again, start early with a 10% milk/water spray. Also, make sure there is plenty of air circulation. Do you think it would help if I spray the milk this year into the soil, after I've stripped the plants out of the garden? Or are you talking about spraying the plants leaves only? gixxerific wrote: Whatever you do don't give up. We can help you through it, even if we don't make it, we can sure give it our best. Thanks I wasn't considering giving up, just maye moving my garden to another spot. I'd rather not though. It's perfect just where it is. I could always do contaniers for a year or 2 if i had to I guess. 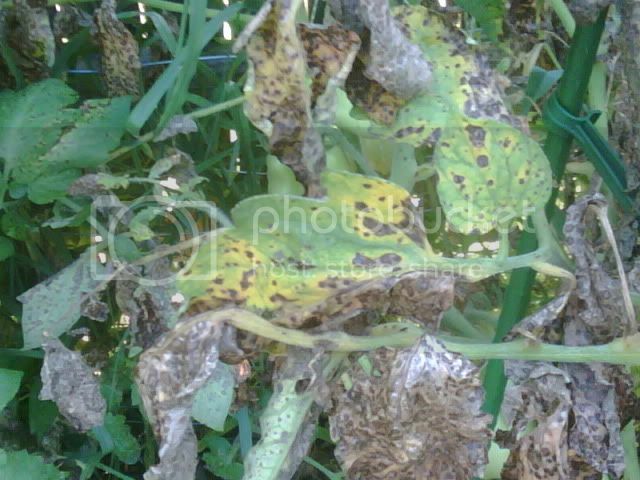 Why No Blight or Mildew in Nearby Vegetables?